The ZZ Plant, a crowd-favorite here at Dig It! A Pothos, the perfect plant for hanging planters! They will drape over the edge, and are a great option if you're looking to add leafy greens to a windowsill. Click here to see the original picture. Featured above is the ZZ Plant (Zamioculcas zamiifolia). The drought-tolerant ZZ plant is the perfect addition to low-light homes and offices! To the right is a Pothos 'Silver Splash' (Epipremnum aureum). This plant is a great for those looking to add a classic, leafy option to a workspace or home. Pothos are also a perfect option for those looking for low maintenance plants that provide hanging foliage. While all of the plants mentioned are great at cleaning the air around us, Pothos have been said to help relax ones eyes when feeling congested or irritated. This can help combat tiredness after a long-day of staring at a phone, computer screen, or even Phoenix rush hour! Pothos have also been said to help prevent and treat cataracts, ocular hypertension, and glaucoma. Pilea Peperomoides, one of Lauren's favorite plants (because they look like mini pancakes). 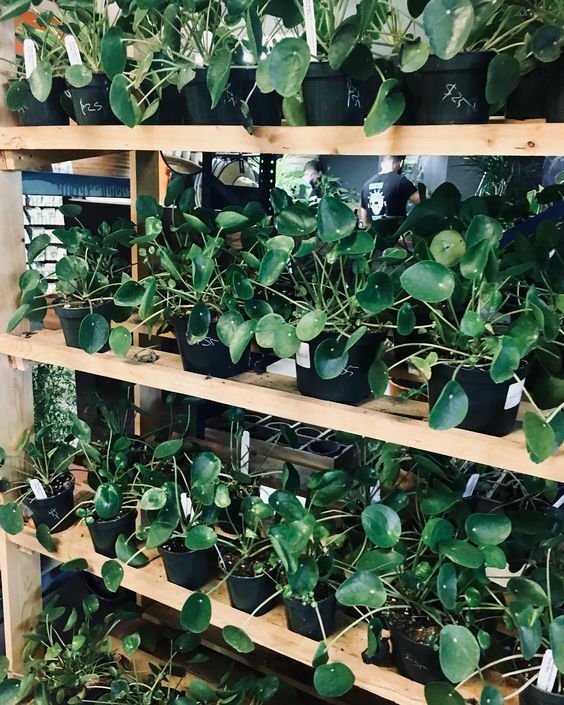 If you're searching for a fun-looking plant, check out our Pilea peperomioides. These are also known as Chinese money plants, UFO plants, and pancake plants! Native to Yunnan Province in Southern China, Pilea's are great low-maintenance houseplants for dry air climates. Pilea's have very similar needs to succulents, and require sunlight for a few hours of the day. These make a great windowsill plant! If you're in the market for a low-light plant, the Snake plant (Sansevieria trifasciata) requires minimal sunlight, water, and care. The Snake plant also has great antibacterial properties - as they filter formaldehyde, trichloroethylene, xylene, toluene, and benzene from the air. Sanseveria (Snake Plant). One of the most popular varieties for new plant parents! At the end of the day, there's really nothing that makes a house feel more like a home than a great houseplant. They truly are the gift that keeps giving, be it from direct benefits like cleaner air, lower toxins, and pollutant reduction to indirect benefits like better focus, fatigue and stress reduction, and increased mental health. People grow plants, and #PlantsGrowPeople! What houseplants do you have? Comment below! Be sure to also let us know any other plant questions you have for our next blog post. To keep up to date with all things Dig It, be sure to follow our Facebook and Instagram for event updates, sales, and more!